An important engineering problem in structural design is the evaluation of structural integrity and reliability. It is well known that structural strength may be degraded during its design life due to mechanical and/or chemical aging. Depending on the structural design, material type, service loading, and environmental conditions, the cause and degree of strength degradation due to the different aging mechanisms will vary. One of the common causes of strength degradation is crack development in the structure. When cracks occur, the effects of crack size and rate of growth on the fracture resistance of the material and the remaining strength and life of the structures need to be determined. Reliable performance of a structure in critical applications depends on ensuring that the structure in service satisfies the conditions assumed in design and life prediction analyses. Reliability assurance requires evaluation of the stress state in the structure and the material's strength allowable corresponding to a given failure criterion for a given loading condition and the availability of nondestructive testing and evaluation techniques to characterize discrete cracks according to their location, size, and orientation. This leads to an improved assessment of the potential criticality of individual flaws. This book addresses the important topics mentioned in the above paragraphs. It covers the areas of mechanical fatigue analysis of aircraft structures under constant amplitude and spectrum loading conditions, acoustic fatigue of secondary aircraft structures, aerodynamic heating, structural integrity and service life prediction methodology of solid rocket motors, and structural health monitoring of solid rocket motors. Based on a systematic and a blended experimental and analytical approach together with extensive practical experience, methodologies were developed to (1) predict fatigue crack growth behavior and service life of aircraft structures and (2) assess the structural integrity and service life of solid rocket motors. In addition, the applicability as well as the limitations of the various methods are pointed out and examples of their practical use are given. Though the subject matter that appears in this book has been previously published by the authors elsewhere, this is the first time that the information has been presented in a consolidated manner. The implementation of these advanced technologies can increase the reliability of aircraft and rocket structures as well as significantly reduce structural repair and replacement costs. This book will prove to be of considerable value to the field of aerospace engineering both in academia and in industry. Furthermore, I believe its value will extend beyond the immediate intended reader to engineers in the shipping, automobile, tire, and construction industries who are interested in the evaluation of integrity and service life of structures. This book deals with structural failure - induced by mechanical, aerodynamic, acoustic and aero-thermal loads - of modern aerospace vehicles, in particular high-speed aircraft, solid propellant rocket systems and hypersonic flight vehicles. Structural integrity and failure prediction (essential for the design and service life assessment) of modern aerospace structures and flight vehicles have significant challenges due to the increasingly more demanding mission requirements and the use of non-traditional materials, such as non-metallic composites, in their construction. The growing pressure for high reliability and longer operational service life adds to the problem. Prediction of the complex loading environment (such as aerodynamic heating seen in high-speed flights, thermal and acoustic operational and/or storage loads), and constitutive / fracture models can adequately describe the non-linear behaviour exhibited by advanced alloys and composite materials. 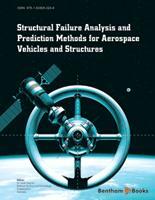 These are some critical areas in predicting the non-linear structural response and failure analysis of modern aerospace flight vehicles. It is also important to use appropriate prediction methodologies for a given type of vehicle. For example, the methods for predicting the structural integrity and failure of solid propellant rocket systems are different to the methods used for aircraft, largely due to the non-linear viscoelastic behaviour of solid propellants and the different operational / environmental loading conditions. Another example is acoustic fatigue, a major damage phenomenon, that has to be considered in modern fighter aircraft but not for expendable solid rocket boosters. This book has seven chapters, describing different key issues /challenges, emerging technologies, experimental methods and analytical techniques for predicting / assessing structural integrity and failure for the three selected types of modern aerospace vehicles: high-speed aircraft, solid propellant rocket systems and hypersonic flight vehicles. This book represents what is believed to be a current need of the aerospace vehicle design engineer / scientist and structural analyst, arising from the necessity for more accurate and appropriate methods of (1) structural and failure analysis and (2) predicting the complex operational / environmental loading conditions for different types of modern aerospace vehicles and structures. The chapters are written by experts from aerospace / defence research organisations, industry and academia in the fields of structural mechanics and dynamics of aircraft, rocket and hypersonic systems. It will serve as a useful reference document containing specialist knowledge on appropriate prediction methodologies for a given circumstance and experimental data acquired from multi-national collaborative programs. It is aimed at providing (1) a practical professional tool for all engineers, scientists and program managers working in the various disciplines of aerospace structures and vehicles, and (2) an effective reference text for graduate students and academia in the aeronautical and astronautical sciences. In the first chapter, Barter, Molent and Wanhill present an overview of current and proposed methods for aircraft fatigue life testing and an innovative lead crack fatigue lifing framework developed at the Air Vehicles Division of DSTO for fatigue life assessment of high performance metallic airframe structures. Fatigue crack growth (FCG) and quantitative fractography (QF) data based on many years of detailed inspection and analysis of fatigue cracks in airframe materials and structures, ranging from coupon to full-scale fatigue tests (including actual components from in-service F/A-18A/B and F-111 aircraft), are presented. A step-by-step procedure for determining the lead crack at any given life and location and examples of lead crack FCG estimates (from multiple cracks or if there is no information on initial discontinuities) are presented. Although good designs to reduce a structure's susceptibility to sonic fatigue are now available, structural failures resulting from sonic fatigue remain a significant issue for some fighter aircraft where relatively overall high sound pressure levels were found to exist on the external surface of the nacelle skin. In Chapter 2, Callinan, Wang, Galea and Sanderson describe acoustic fatigue analysis and repair of sonic fatigue damaged panels. Details on a state-ofthe- art generic design procedure (using closed form solutions based on crack bridging theory) and a real-life case study of a design of adhesively bonded patch repair to prevent acoustic fatigue cracking on the aft fuselage of the F/A-18 aircraft are presented. Data of sound pressure levels measured on the external surface of the aircraft are included. Aero-thermal-structural analysis is a fundamental area for the design and failure analysis of hypersonic vehicles and structures. Unlike low-speed flight vehicles where pressure and skin friction have a significant effect on the aerodynamic forces and moments and hence, the flight stability of the vehicle, aerodynamic heating is the predominant structural load in the high-speed flight regime. Some consequences of aerodynamic heating include melting and /or deformation of structural components and aerothermoelasticity effects. Chapter 3 (Ho) is devoted to describing the multidisciplinary aspects of aero-thermal and structural dynamic analysis of hypersonic vehicles. Example applications of the numerical techniques, including aero-thermal-structural analysis of a real-life hypersonic flight vehicle, are also presented. New approaches for predicting fatigue crack growth in aircraft structures and components under flight spectrum loading are described by Zhuang and Molent in Chapter 4. Predictions of fatigue crack growth (FCG) are made directly based on the flight spectrum fatigue crack growth data measured by quantitative fractography (QF) for several common aircraft structural materials under various fighter aircraft flight spectra. The new approach provides much more reliable assessment of the crack growth rates than the predictions deduced from traditional constant amplitude crack growth testing and cycle-by-cycle algorithmns. The QF process identifies the morphological features on a fatigue crack surface attributed to the applied specific spectrum loading sequences. Predictions of fatigue crack growth for different stress concentration factors at different load levels are described, with the aim to develop better prediction of FCG life for airframes containing different geometric discontinuities. The design and failure criteria for modern aerospace vehicles and advanced structures have increased in complexity over the past years, due to the more complex loading environment, geometries and new materials used in the construction. It is, therefore, desirable to have generic fracture models that are suitable for all material types, stress-strain states and loading conditions, and hence appropriate to a wide range of applications. New three-dimensional predictive models of various non-linear fatigue crack growth phenomena that are suitable for advanced structures under complex loading conditions (such as, constant amplitude, retardation following an overload cycle) are presented in the chapter by Kotousov and Codrington. These models, based on refined plate theory, can take into account thickness effect, material non-linearity and variable loading cycle effects. Possible applications of these models include damage tolerance design and analysis of fracture-critical aircraft engine components, as well as service life analysis of solid propellant rocket systems. In the past two decades, there have been considerable advances in non-destructive evaluation (NDE) methods for detecting fracture, etc. and structural health monitoring of aircraft and rocket propulsion systems. Smart sensor technology can offer enormous benefits in terms of cost savings and increased operational safety and reliability of aerospace structures and vehicles. Chapter 6 (Ho) describes state-of-the-art miniature stress sensor technology for monitoring the thermal stresses and ignition pressurization loads in a generic research end-burning solid rocket motor. This study was part of a larger international collaborative effort carried out from 1988 to 2002 to validate the instrumentation and analytical stress analysis and service life prediction methodologies for solid composite rocket motors. Stress sensor selection and installation, data reduction and the use of the instrumented rocket motor data for (1) structural health monitoring, (2) validating theoretical viscoelastic models and stress / strain predictions from finite element analysis and (3) input into probabilistic service life prediction models are discussed in this chapter. Other NDE methods for detecting structural failure in solid composite rocket motors are also discussed. 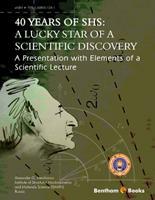 The application and role of structural integrity assessment (computational and experimental methods) to service life prediction and vulnerability / safety assessment of solid rockets are presented in chapter 7 (Ho). Accurate methods for analyzing the stress-strain response, failure criteria and environmental / operational loads are essential in order to deal with the increasingly more stringent requirements in performance, safety, reliability and cost of these systems. 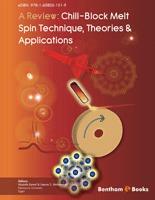 The chapter illustrates the use of computational techniques, such as the finite element method, and appropriate failure criteria for structural integrity assessment, and an example solution procedure for a real-life rocket. A method for determining high-strain-rate mechanical properties using the modified Hopkinson Bar technique and the development of appropriate constitutive models are also described.